It was just recently that Robert F. Kennedy Jr. announced President-elect Donald Trump unofficially gave him the responsibility to head a new Commission on Vaccine Safety and Scientific Integrity. For anyone who had watched Kennedy’s work over the years, heard his testimonies, and listened to his speeches, it was clear a major target of the new commission would be the US Centers for Disease Control and Prevention (CDC). These exact same tactics were used less than a year ago in an attempt to discredit the film Vaxxed: From Cover-Up to Catastrophe; a film about admitted vaccine research fraud at the CDC. 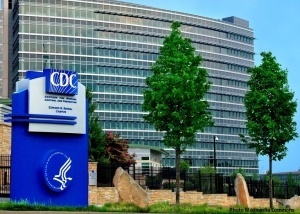 As the rats scurried and the paper tiger corporate media roared, it appeared that the fuse had been lit to finally shed light on the longtime CDC corruption. It was in 2014 the CDC senior research scientist Dr. William Thompson publicly admitted that he, and his coauthors, committed research fraud during the agency’s 2004 autism-MMR study. The mainstream media went silent, and has been ever since, never once reporting on the topic despite Representative Bill Posey begging congress to open an investigation on record. As a critical mass has now been awakened to the CDC’s internal corruption and conflicts of interest, many are also heavily scrutinizing their recommendations concerning public health and vaccine schedules. The British Medical Journal has pointed out the fact that some pharmaceutical companies involved in production and marketing of antiviral drugs have provided funding to the CDC Foundation to support qualitative research into influenza prevention and treatment messaging. The day after Kennedy’s announcement the American Academy of Pediatrics (AAP) released a transparent statement in an attempt to damage control the news. The AAP is an organization that has provided cover for the CDC’s corruption by green-lighting the marching orders for every vaccine recommendation and unjust law ignoring parental rights. ← Revisionist History; The Full Conviction by Trial of the U.S. Government for the Assassination of Martin Luther King Jr. The CDC corruption is not limited to vaccines. The CDC is corrupted in not acknowledging the bio hazards of exposure to RF-radiation. In May 2016, NTP (National Toxicology Program) partial findings confirmed what other studies and population are already experiencing, wireless radiation causes cancer. Are all of the US alphabet agencies corrupted, as well? Just look around you.